Home Challenge!#ScaleFreeSummer	Welcome to Your #ScaleFreeSummer, 2015! Download Your Training Plan Now! Are you looking for #ScaleFreeWinter? Click here! Welcome to the third anniversary of #ScaleFreeSummer! I originally intended to have this up and running this past Sunday, but I – as were many others – was caught off guard a bit by the events that transpired last week. And, as much as I felt helpless, I also wanted to do something. And, quite honestly, it didn’t feel right to just get on and go back to selling stuff and blogging as usual. That being said, I think I figured out a way for us all to contribute a bit and feel good about trying to move forward in a healthier way. If you’re a reader of my weekly newsletter, you’ll know that I’ve been talking about my very first training plan and nutrition guide for weeks, now. And, it means a lot to me to have finally been able to make it a reality – while 8 months pregnant, no less – so that I can help people get a little bit closer to having a season dedicated to the tenets of healthy living, instead of a season of being dedicated to seeing the scale move. My method is, and can actually guarantee progress. In fact, my method will help you better understand what progress is, and how to appreciate it – with and without the scale. Get the guide today: ScaleFreeSummer: Your 90 Day Training and Nutrition Guide for Becoming a Healthier You! And, because I didn’t actually even own a scale until 2014, I’d unintentionally been on the #ScaleFreeSummer protocol for years. But whew, were those years good to me. And, as soon as I give birth to #babysprout, I’ll be looking forward to going right back to my old training routine, which is clearly outlined here in my guide, where I’ll be losing the weight again. Within reason, of course. Baby and all. The guide is $25.99 USD. It provides a 90 day training plan – created by a certified and well-educated fitness professional – that does not require a gym membership to complete, complete with a bird’s eye view of how I eat, and my training philosophies. It also includes insight into the ScaleFree protocol, and what it means to simply live healthily, sans scale. 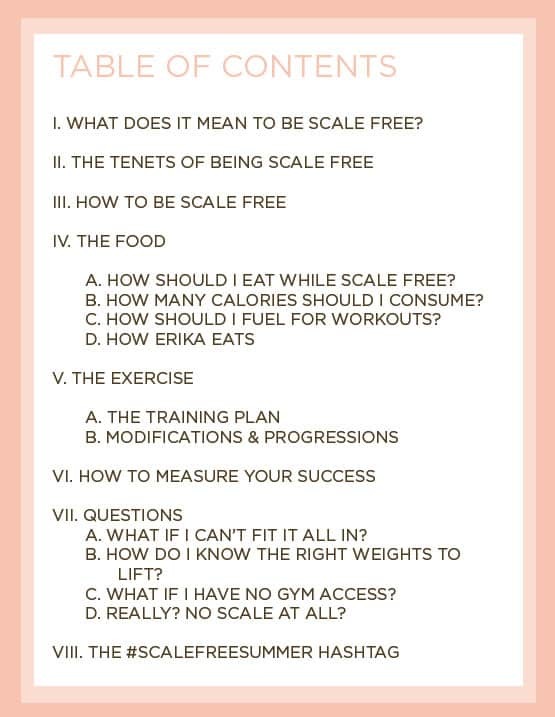 So, tell me – are you ready to have a #ScaleFreeSummer? Get your copy of #ScaleFreeSummer: Your 90 Day Training and Nutrition Guide for Becoming a Healthier You! by clicking here! Training Undies: Should You Wear Any? Which Kind? Are Workout Undies Worth the Money? Hello, newbie here. I would like to participate but I can never get off of the couch, hence, it feels rather much like I would be paying for nothing. Even the potential loss of money doesn’t motivate me to actually follow through. For now, I like to read the ideas and gain inspiration through the comments and pictures. I don’t know what it would take to actually get off the couch. Thanks for listening. Start with removing some of the mental barriers you feel – you’re likely never going to experience some exciting jolt accompanied by fireworks and banners and confetti that compels you to get up… so make it simple. Start by going for a walk once a day. Feel proud of yourself when you achieve that much, and let that pride carry you into doing bigger, more. Thank you! Between your “make it simple. Start by going for a walk once a day.” and somewhere else where I read to start by making small promises to myself and keeping them, I have actually started! After years of skipping breakfast, I promised myself that I would have a simple protein shake within 30 minutes of awakening, and now that I have accomplished that for nearly a week, I have committed to walking 1 flight of stairs at work everyday! You are not the only one who feels that way. It is just too much to think about much less do. . The whole endeavor of losing weight seems monumental, so after a bit of reading, I decided to take very teeny baby steps and keep promises to myself. I promised to eat breakfast everyday by simply adding protein powder to water or almond milk within 30 minutes of arising. (It was the most I could commit to at this time). Now, I am working on just walking up one flight of stairs from the cafeteria to the second floor of the building at work. Great success with your journey. I hear that baby steps are a way to go. Maybe I’ll get there one day. Let us know how you are doing. Good luck. If something went wrong, send me an e-mail and I can take a look at it. You should’ve received an e-mail almost immediately after your purchase, so if you’ve checked all the e-mail addresses (and spam folders!) associated with your Paypal account and found that it still hasn’t arrived, e-mail me! See above. Sorry, that should have read “laid” out diet plan. Hey, there – send me an e-mail and I’ll help you out! I think I may just go ahead and purchase this. I recently won a month of what turned out to be 8 free personal training sessions, and I simultaneously enrolled in a local water aerobics class. Now that both are coming to an end, I’m not quite sure what to do, but I know I have to do something. I haven’t lost any lbs (I suspect this is due to my eating habits having not changed worth a damn), but I was impressed by my ability to perform the workouts. How much emphasis do you think I should be putting on the food vs. the physical? I noticed that once my daughter left for college, my new empty nester status led to lots of eating out, wine, drinks, and oddly enough, baking! I think the majority of it is food, but I also think we have to define “emphasis.” If, by emphasis, we mean “pressure,” I’d say no. Start small – go step by step. I talk about this in the book, too. Make small and powerful changes, and let that guide you into making even more small changes that ultimately produce big results. Hey, there! I’m the fitness professional! I’m a NASM-certified personal trainer and have been for a while, with specialties in women’s fitness, fitness nutrition, and weight loss all from NASM! This is my training philosophy, my training plan, with detailed explanations of how I eat and how I train. All of this is my work, and it truly is me guiding you through having an active and enjoyable summer using – yes – the same kind of training routine I used to lose my weight. 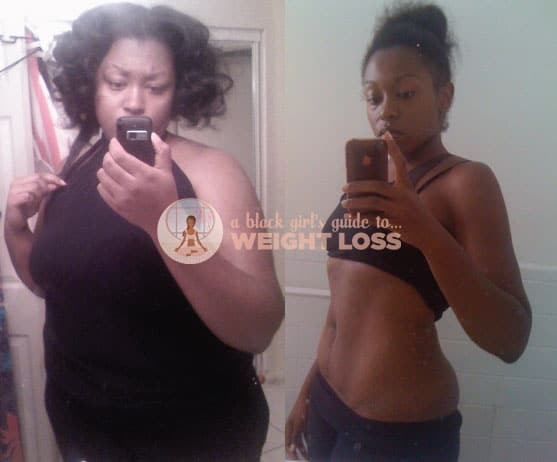 Now, if you want to know more about MY weight loss, there are many blog posts that discuss that. This book won’t go into much detail about MY weight loss journey, so to speak – it’s more about serving as a guide for the reader to navigate their own scale free season. If you’re reluctant about spending the money, something I totally understand, I’d encourage you to check the “My Journey” category of posts on the blog. But the book supports the site – it’s why I went ad-free! – so, if you want the actual training plan, the book is where you’ll find it! keep up the great work and motivating others. I am wondering if I told you what I like to eat, can you put together a meal plan for me for the next 3-4 to get me started so that I can start to lose weight? I am currently doing boot camp Mondays & Wednesdays, Zumba Tues., Thurs, & every other Sat. but my eating habits are poor because I don’t like to be in the kitchen or have to thin kabout what to cook becuase I am unsure of where to start. I am losing a pound here and there but can’t stay on the right path, always falling off when I start to do really well. I most certainly do provide private consultations and plan creation – send me an e-mail and we can discuss what you need and how I can help! Hi. I live overseas with no access to an oven. Would I be able to use this guide if I only have a two eye stovetop and a microwave? If not, where can I find clean eating recipes for my tiny kitchen? In terms of tiny kitchen cooking, I’d check out thekitchn.com!